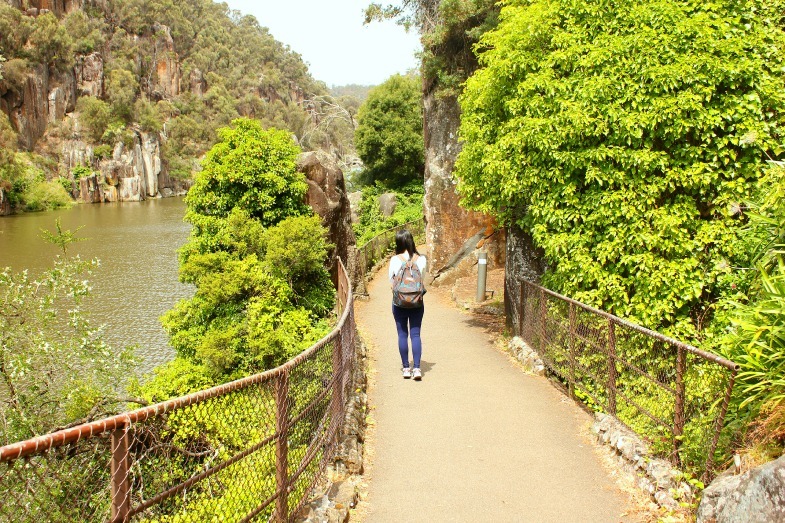 Sights & Sounds: Cataract Gorge, Launceston Reviewed by acaciadee on March 17, 2015 . 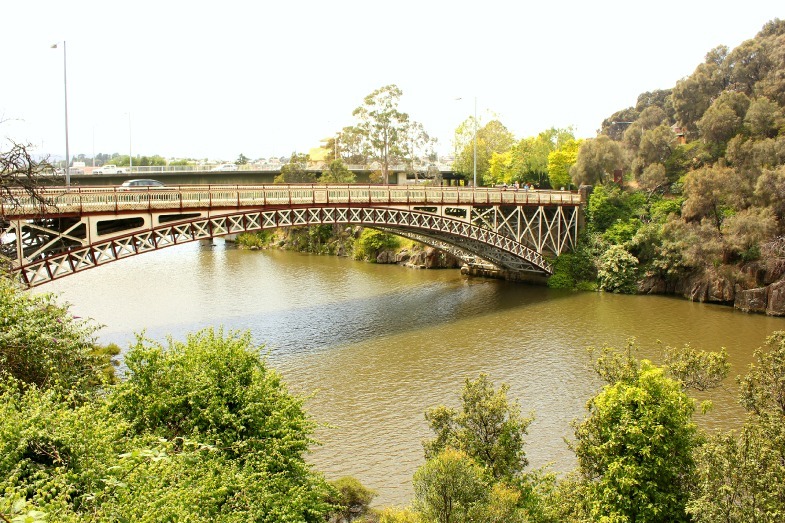 Have a lazy Sunday to spare in Launceston CBD? 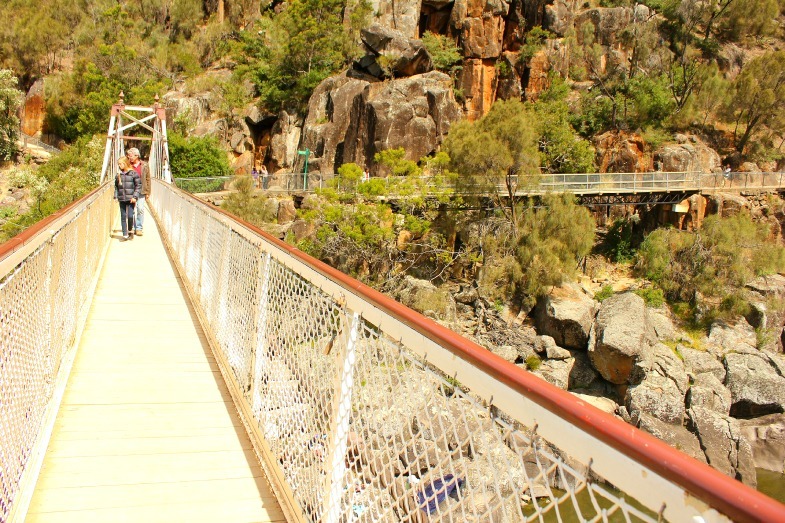 Well… … Cataract Gorge is imperatively a place to visit for days when you feel like giving your feet a shot at being the mode of transportation. No car. No bus. No train. And frankly, no grappling with maps or GPS! Whoo hoo…! So… … Maybe I am not a songwriter for the obvious reason, but hey, the lyrics really nailed it spot on! 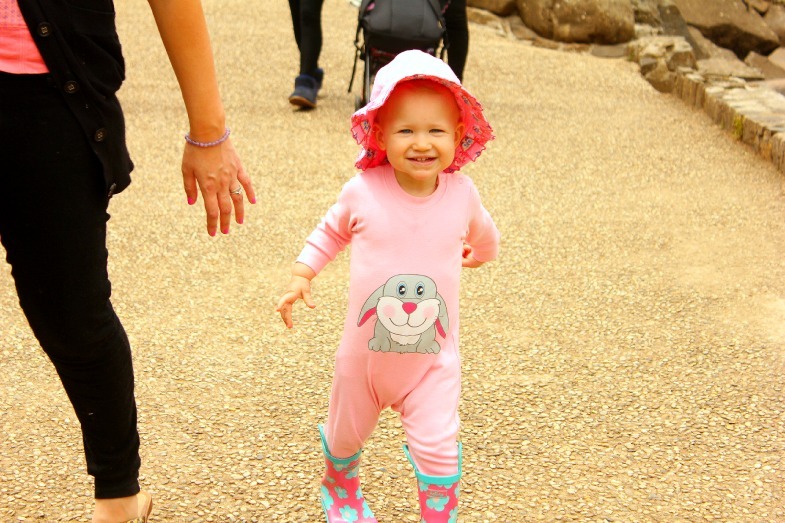 a) On foot- The Healthier Choice! 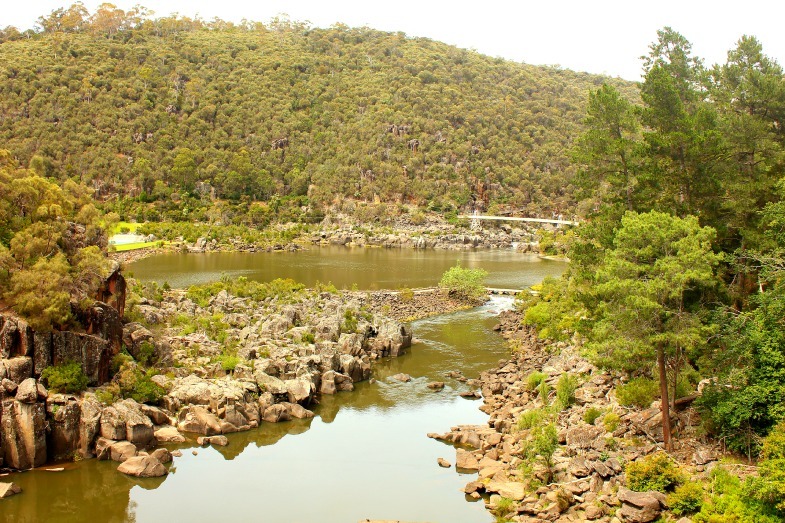 We stayed at Hotel Launceston (Address: 3 Brisbane Street, Launceston TAS 7250, Australia), so it was approximately a 2 km walk to Cataract Gorge; roughly 30 minutes tops. If you decide to stay at Hotel Launceston too (which was not a bad stay- reasonably decent), here are the directions. 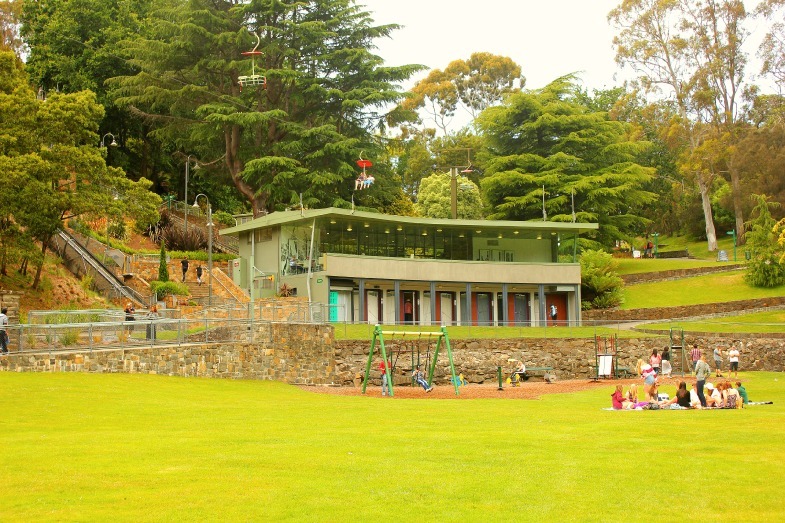 1. Leisure stroll pass Launceston City Park on Brisbane Street. 2. Make a turn right onto George Street and a left onto Paterson Street. 3. Continue straight all the way on Bridge Road, passing Kings Park. If your stay is further away, or just don’t wanna walk, a quick car journey of approximately 15 minutes tops from the CBD will get you to the destination. Main parking area is located at the First Basin- follow the signage from York and Frederick Street. The walk on Bridge Road just before seeing Kings Bridge (near Stillwater Restaurant & Café) has this quirky wall graffiti. I don’t know about you, but it is such little sights (though seemed to be very mundane) along the way that makes the whole walk so much more meaningful. Summer. This is by far an understatement, but yeah. Summer is definitely the best time to do any outdoor activity. It is also the time when facilities are open; and open for longer hours. 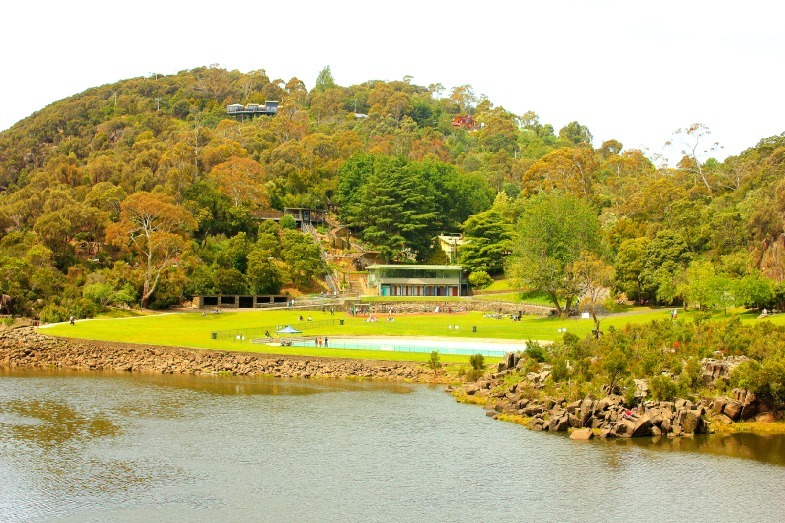 Facilities include the outdoor swimming pool at the First Basin. A time when you get to see the Gorge’s open field suffuse with sunlight. And many locals welcome Summer in a paroxysm of joy with evidence of enjoying a picnicking or sunbathing- the perfect time for a nice family and friends chillax. 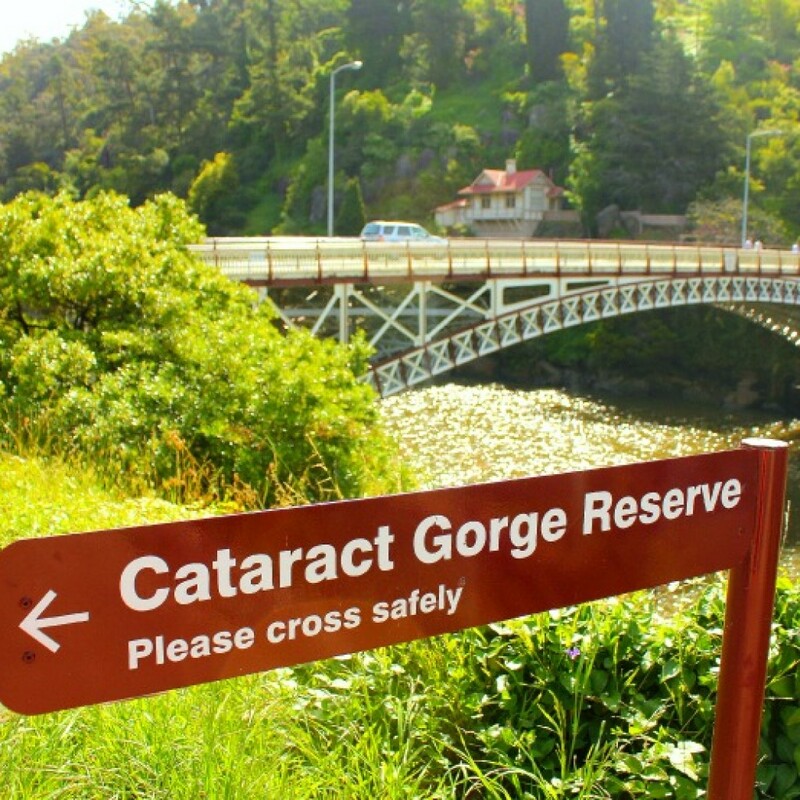 There are just way too many larking activities to do and sights to see at Cataract Gorge. Here are just some suggestions (in no particular order). NOTE: Children < 4 years old can travel for FREE. 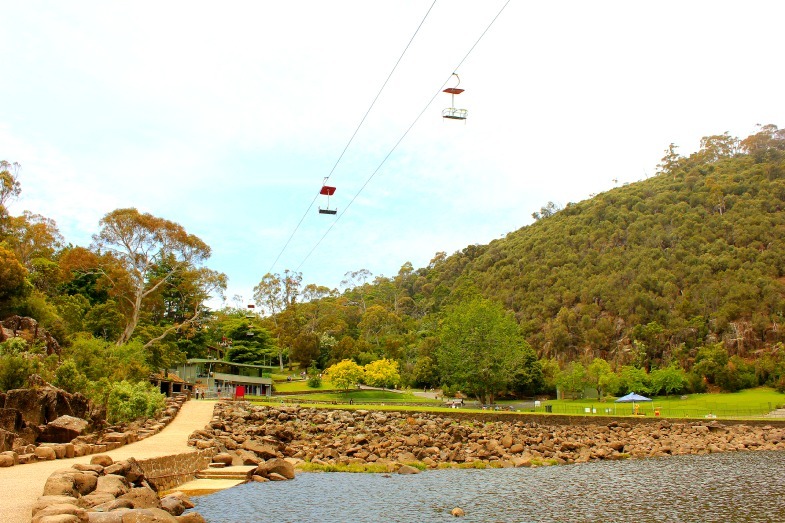 This is the world’s longest single span chairlift, that covers approximately 457 metres with the terminal ends at the First Basin (near the Basin Café), and at the Cliff Grounds (near The Gorge Restaurant). You could hop on for a ride on either terminals. The low speed chairlift provides an opportunity for a wide- angled pseudo aerial view of the ancient rock gorge. You probably will not be blasé about the view you are receiving from up there. 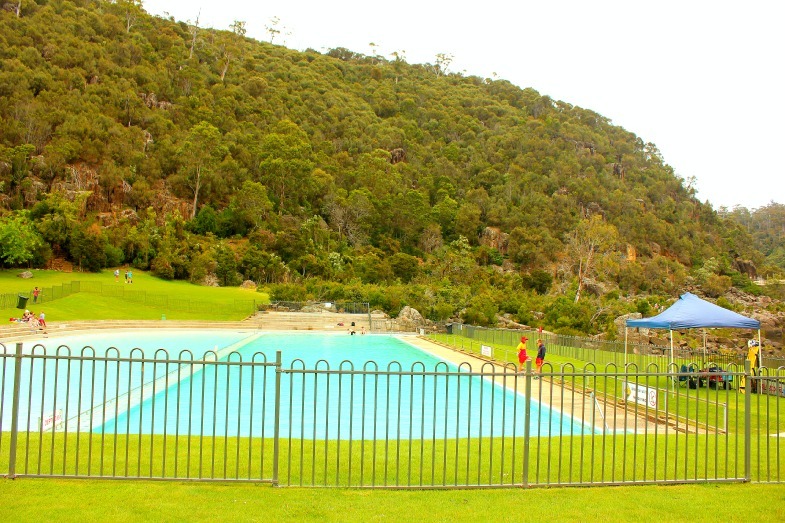 The outdoor swimming pool is just located below the First Basin Café. During Summer, we saw loads of families and groups of teens having a day of fun chilling by the pool, and picnicking on the open field around the pool vicinity. The atmosphere was shrouded with inordinate amount of giggles, shrieks and staccato laughter here and there. It was an experience that just screams a definite Summer! 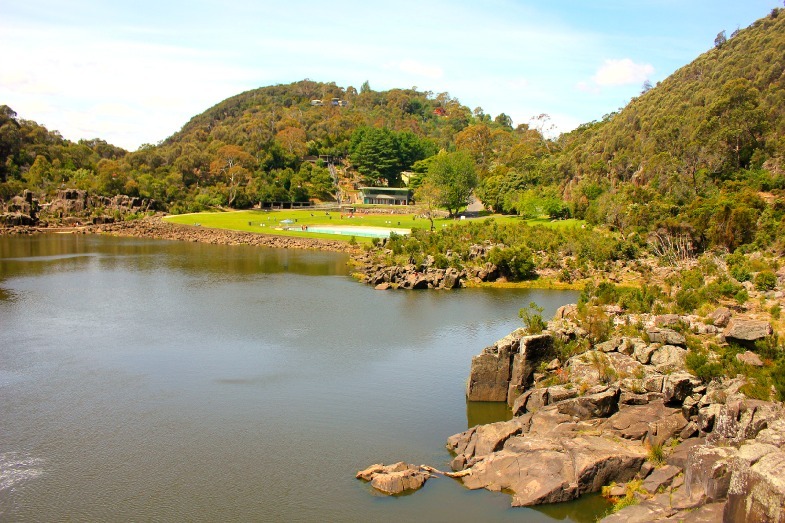 This is probably a must- snap landmark, aside the Kings Bridge (at the ‘entrance’ of Cataract Gorge). 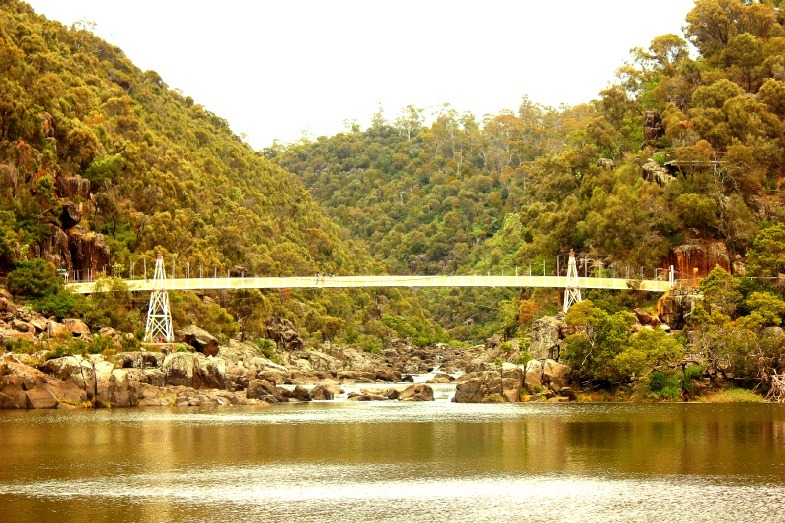 Situated just upstream from the First Basin, this bridge gives the view of both sides of the Gorge. Standing in the middle on the suspension bridge will present you a distant view of the swimming pool, the Cliff Grounds and the First Basin from a slight elevated angle. 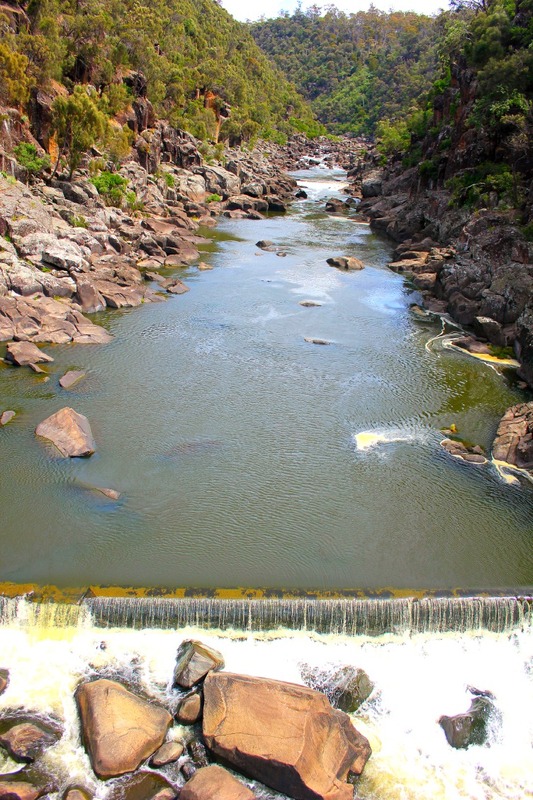 Turning your attention to the back, you will see a gentle current flow of water down the South Esk River which pours nicely into the First Basin. 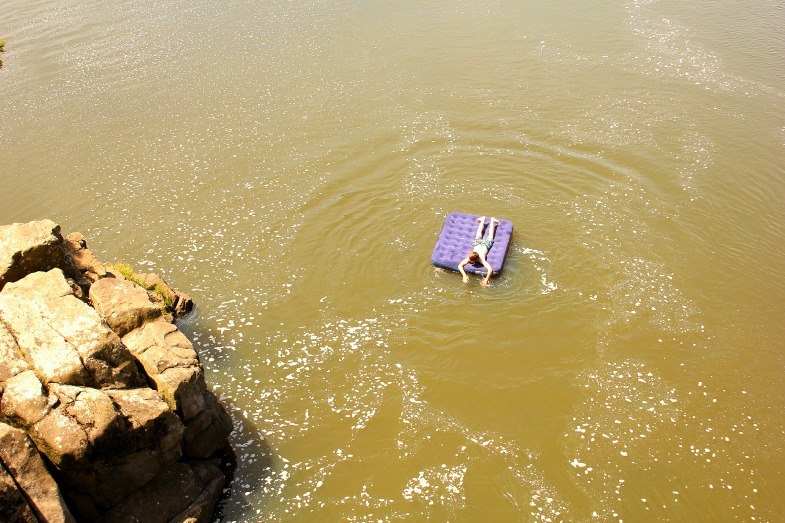 We managed to catch local teens in action as they set their air floating mattress to sail onto the First Basin. 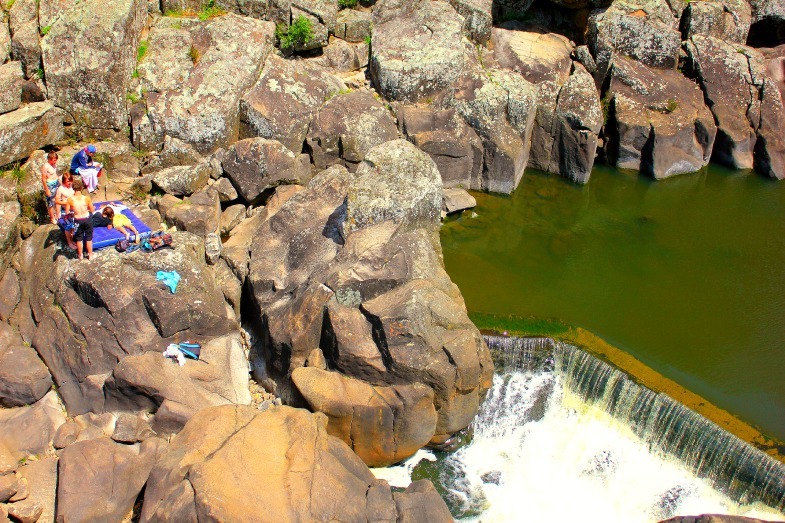 We also saw adults standing near the edge of the ‘cliff’ and making several plunges into the waters of the Basin, which was then followed suit by the kids as well. Hhhmmm… … How safe was it? I don’t know. I was kinda not in congenial with the whole idea of plunging into the waters like that, but hey, who am I to judge right? They looked like they had done that way too often, so I guess swimming in the First Basin is a yes? I really do not know. 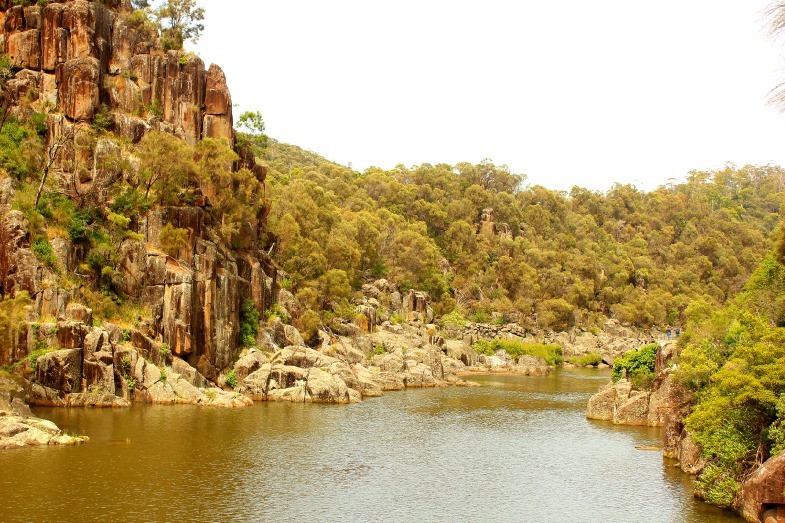 There are so many tracks at Cataract Gorge. Some are mere short ones for those who just want a sneak peek on the tracks and the vistas it provides, and a few longer tracks for the energetic who wants a punch at it. I reckon the more popular walks would be the Duck Reach Circuit Track, and the Zig- Zag Track. 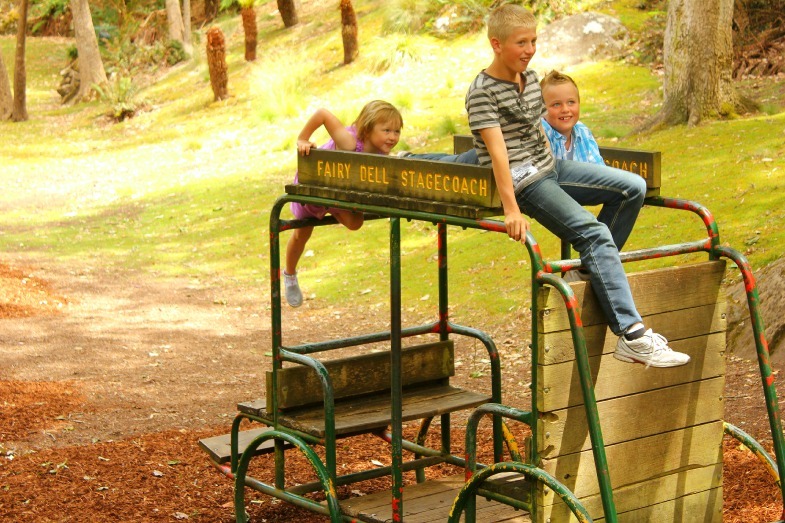 The Duck Reach Circuit Track, though rates level 3 with some uphill sections, is still suitable for children. 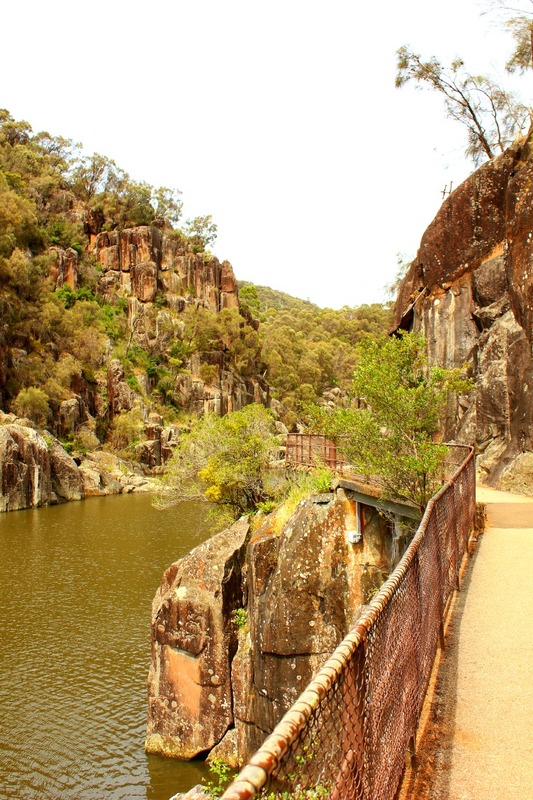 This circuit leads further up the Gorge to the Second Basin and to the Duck Reach- which is the earliest municipal hydroelectric power station in Australia. This hydroelectric power station is now a popular tourist attraction, open as a museum (Interpretation Centre) since 1995. The walk takes about 1.5 hours to complete one full cycle. 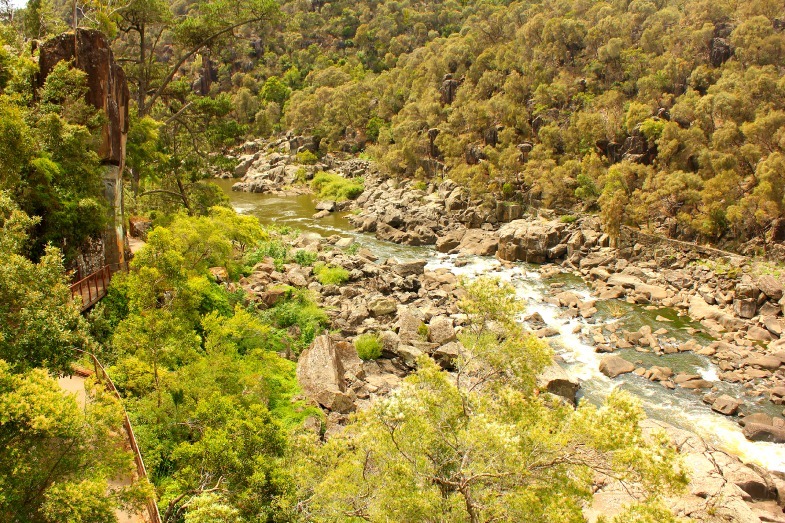 Cataract Gorge is just too huge with most of the tracks somehow connected. The added bonus is that the Gorge is definitely well-maintained with clear signage to inform you which track you are leading to. Depending on what you want to see, the many tracks to choose from will get you spoilt for choices! Imperatively a great morning walk for the entire family! This is definitely not the must- walk route to take, but I feel through this route, we sort of cover most of the Gorge. 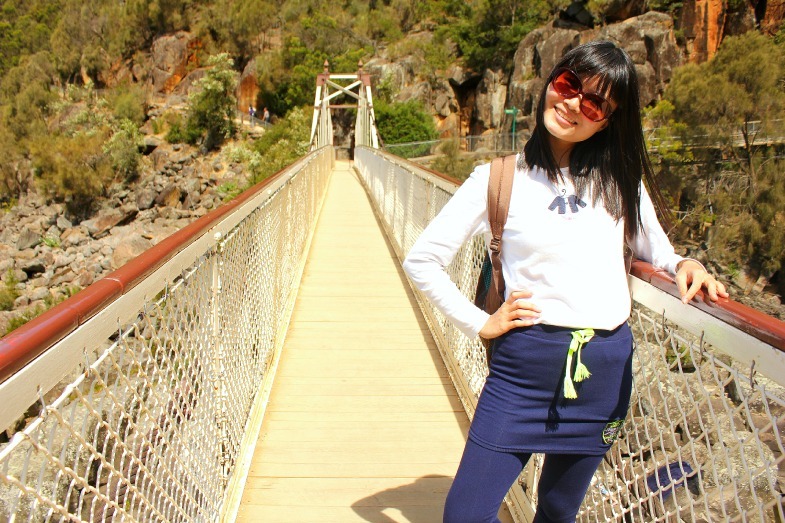 We get to see the highlights Cataract Gorge has to offer, so I’m pretty much satisfied with it. 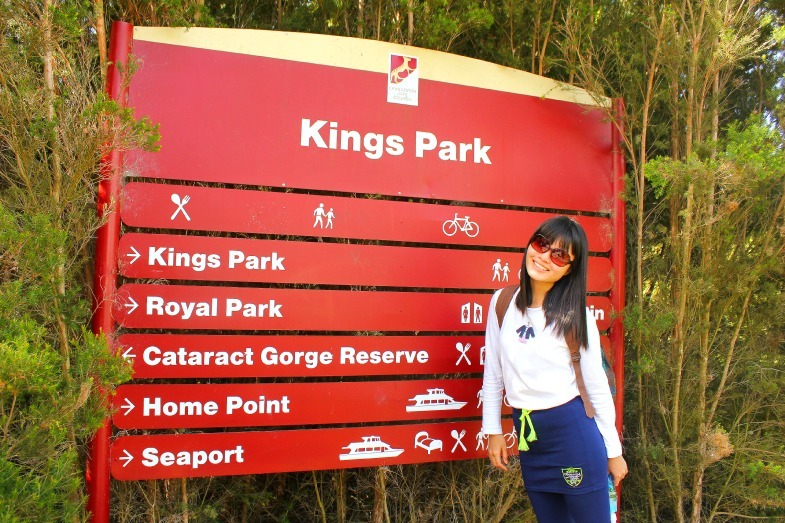 The Cataract Walk starts from the ‘entrance’ of the Gorge, at Kings Bridge. There are two ‘entries’ into the Gorge. 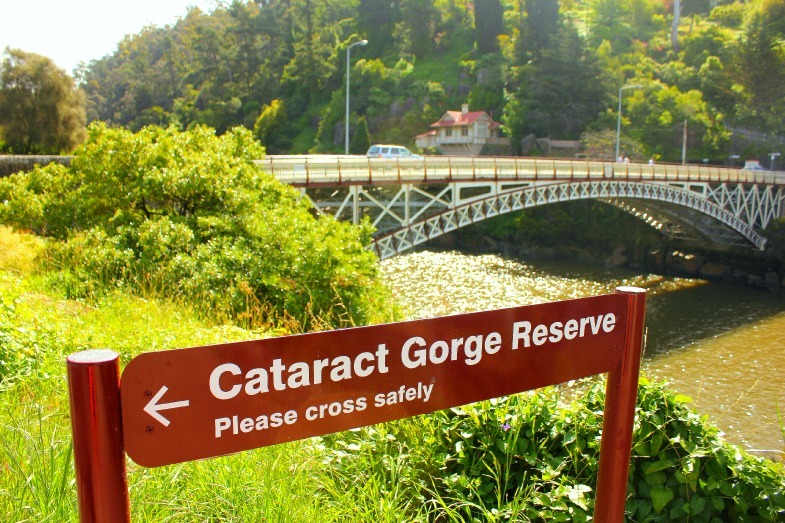 The one on the left takes you through the Zig-Zag Track, and the other takes you through the Cataract Walk. You might really want to consider the latter option, as the Zig-Zag Track from the ‘entrance’ takes you up steeper incline, whilst the Cataract Walk basically bring you through levelled ground. So unless you want to get your adrenaline pumping right at the beginning, the latter option just describes a way to pass a lazy Sunday! 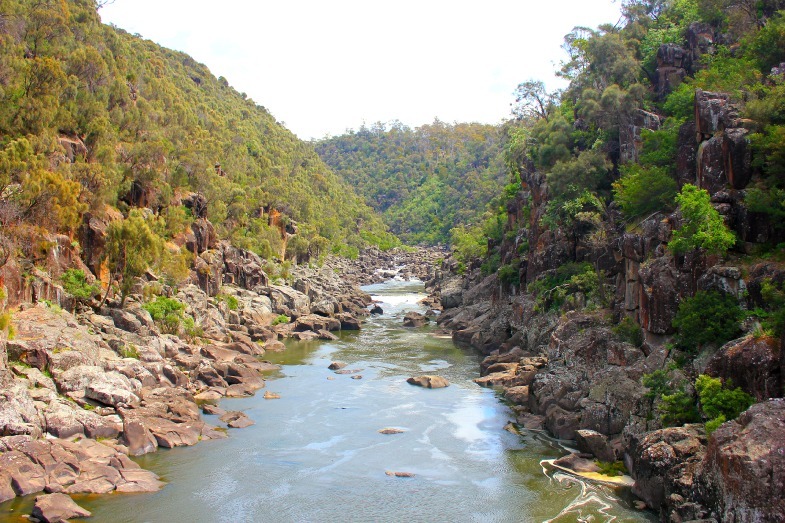 The leisure Cataract Walk takes you through picturesque cliffs and rock formation with the semi-serene South Esk River flowing down the bank. 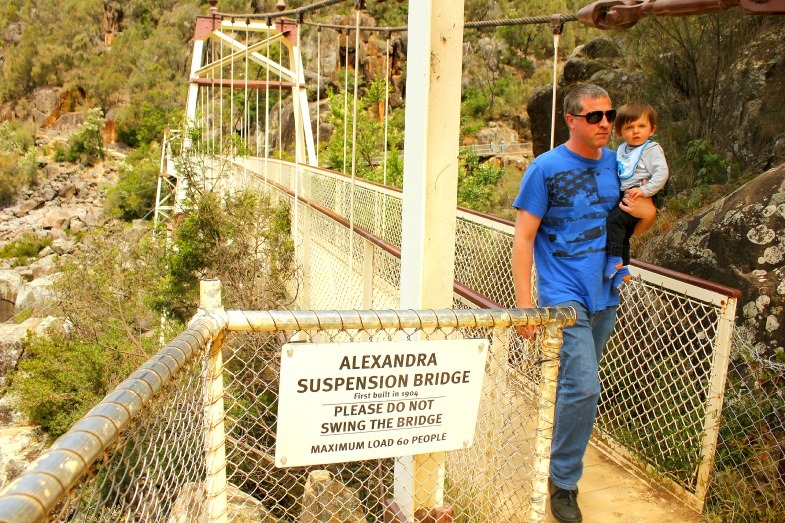 After a distance of walking, you will notice a flight of steep ladder steps that leads you to a lookout, where you can espy the Alexandra Suspension Bridge from afar. The mounting up stairs to get the elevated view does give the Gorge a new perspective to it all. 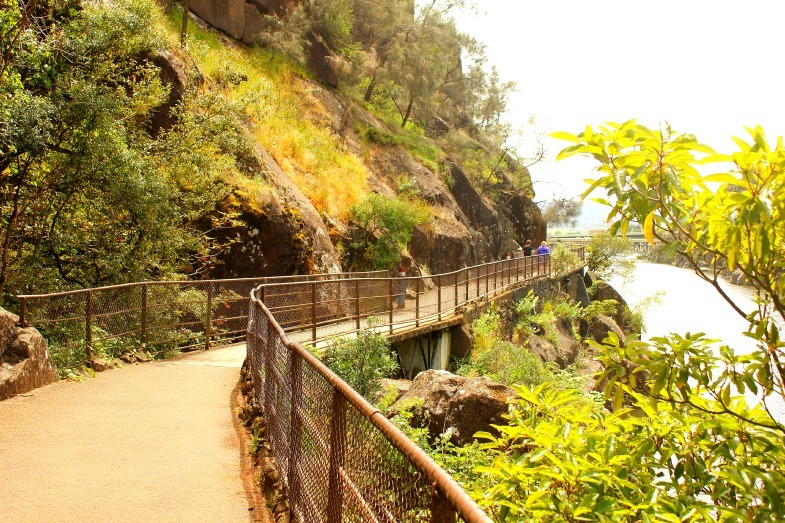 The walk to The Gorge Restaurant could be your respite for lunch. 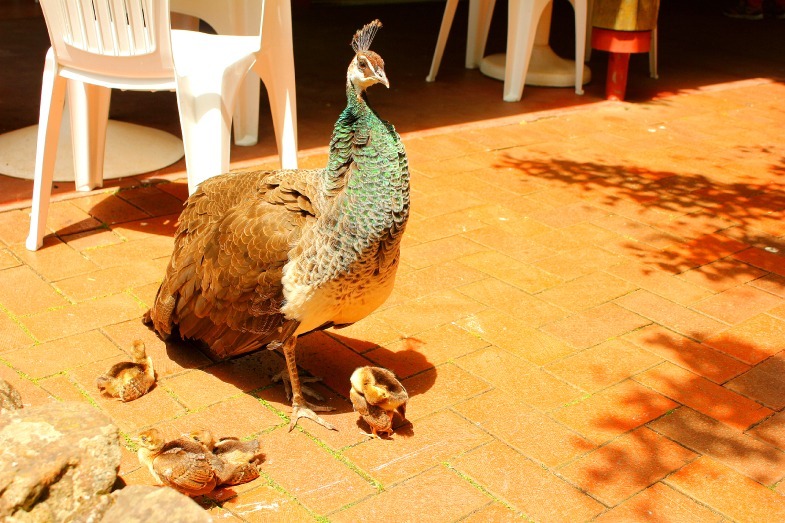 There are quite a few peacocks, peahens and their peachicks running loose outside the eatery. Toddlers and all were pretty much fascinated by the beautiful creatures. Playground facilities for kiddies are in this area as well. I do strongly suggest a walk through Causeway Track instead of taking the chairlift. 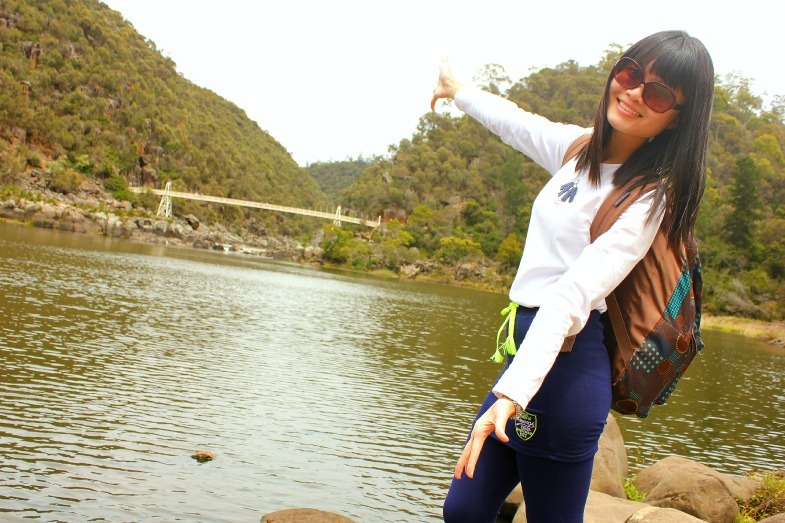 I can vouch a nice photo along the way with the backdrop of the iconic Alexandra Suspension Bridge! I don’t think you would want to miss that! We had our lunch at the First Basin Café. The food portion was huge (for us), and the coffee wasn’t too bad. Best of all, the Café has a nice landscape view of the swimming pool and open fields below. You could also see the chairlifts passing by. Not fancying Café food? A food kiosk just outside the Café has light snacks too! The stroll to the suspension bridge was definitely a great way to walk off lunch. Just a short amble pass the swimming pool and you can get an awe-inspiring view of the vicinity! Without a doubt, a time to snap a hell load of pictures! 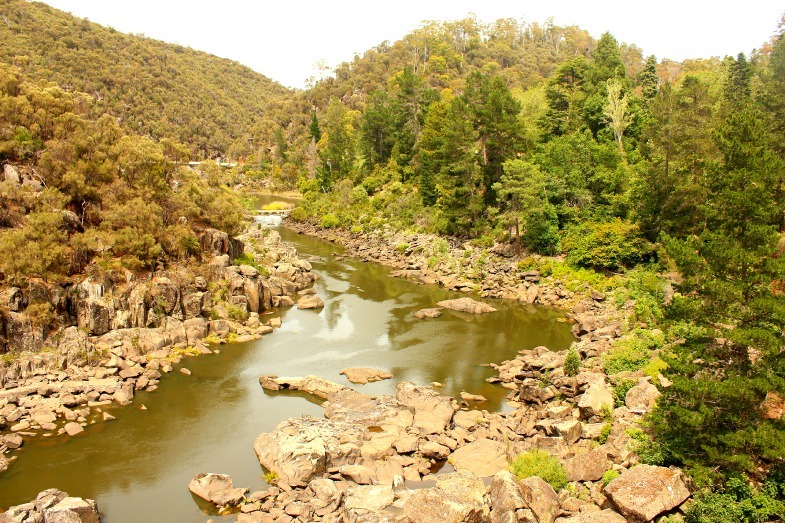 To get back to Launceston CBD, we had to get to the ‘entrance’ of the Gorge; either retracing our steps through Cataract Walk, or out through the Zig- Zag Track. 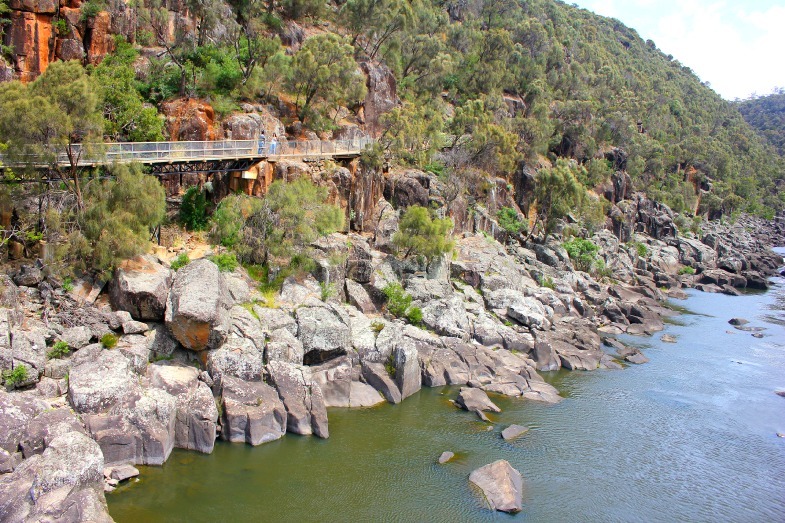 So that was how we ended a lazy Sunday (with gravity working in our favour) at Cataract Gorge! Notice that I did not include the Duck Reach Circuit Track. Reason being we weren’t that all prepared for the walk all the way to the power station, and back. Besides, it was a lazy Sunday after all, so a simple easy- to- do track that covers the main highlights is good enough for us. 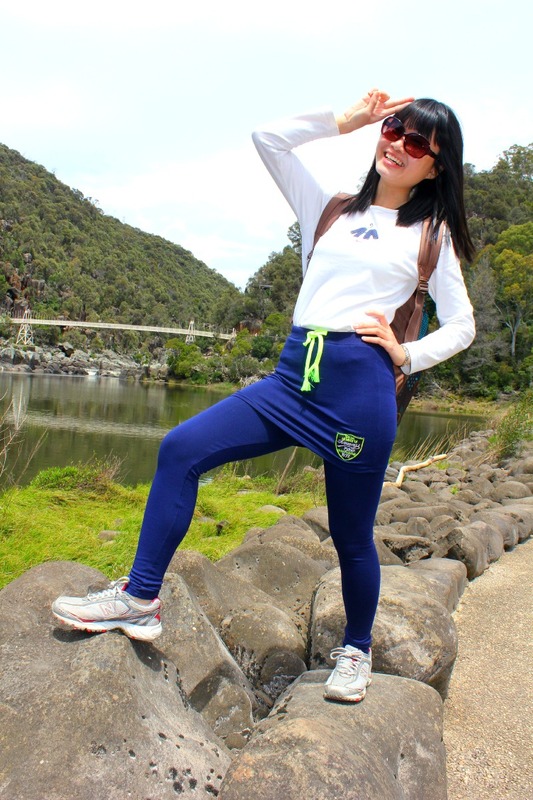 It was definitely a gratifying laidback day packed with simple walks, good company and enchanting views. Totally no frets at all, just the way I like it on a weekend! 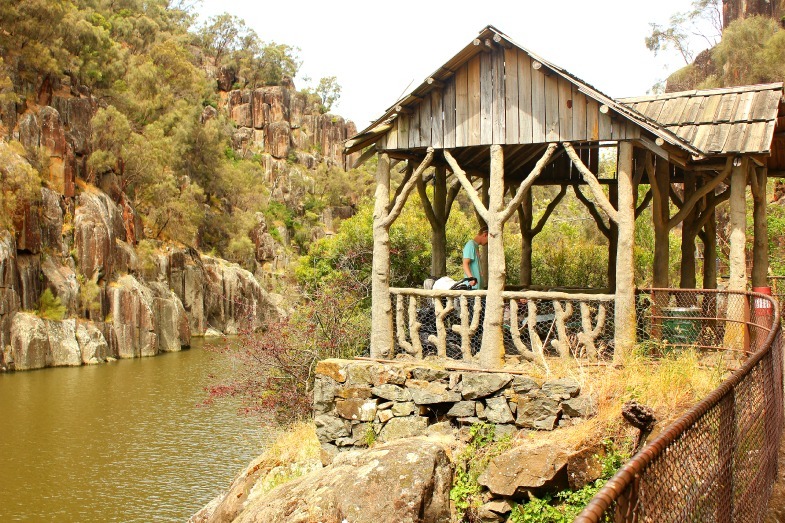 If you are ever in Launceston CBD, I would definitely recommend a lazy weekend day trip at Cataract Gorge!